Do you have a near-surface deposit with considerable vertical extent that has the potential to be mined by a combined method of open-pit and underground mining? As the reserve in an open-pit gets depleted, many medium to large open-pit mines face challenges in determining the best cut-over point from open-pit to underground mining. GeoMine Optunimizer (Optunimizer) is an Open-pit to Underground Transition Optimizer. 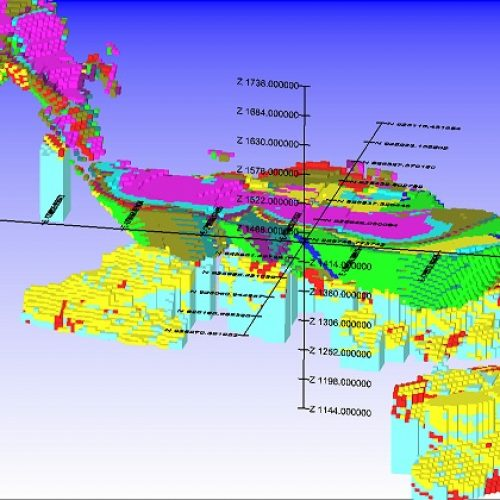 Optunimizer allows a mine planner to determine the optimal transition zone from open-pit to underground mining with the objective of maximizing total profit of the entire mine. Optunimizer is built on top of three ThreeDify optimizers: FlowPit for pit optimization, Stopemizer for stope optimization, and Cavemizer for caving optimization. As a result, the transition plan created by Optunimizer is optimal for both open-pit and underground mining - there is no longer a need for a trial and error design process. Defines the optimum transition zone from open pit to underground mining, eliminating the needs for a trial and error process and thus greatly improving productivity. Maximizes NPV (or other variable) by defining the best overall option considering infrastructure development and mine preparation with the aim of ensuring plant feed (ramping up, stockpiling, etc.) 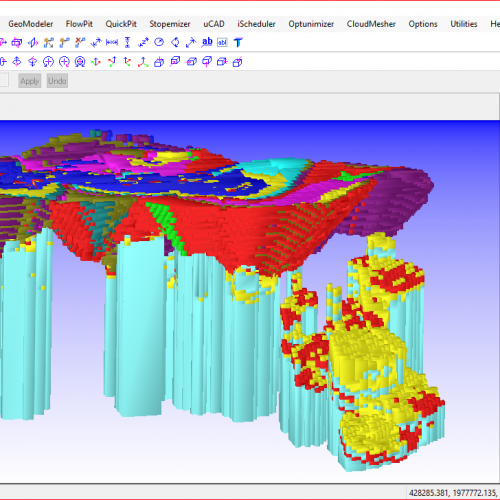 within one integrated software package, GeoMine. Fast integrated design and scheduling of both open-pit and underground mines with resource constraints. Handles big model (> 30mil blocks) without super-blocking due to our industry-acclaimed high performance pit and stope/caving optimization engines. Supports various mining methods. Including stoping, block caving and sub-level caving methods. Flexible, you decide how you want to calculate the dollar values of a block when mined as part of a open-pit and when mined as part of an underground mine, using our Visual Formula Editor. No hard coded inflexible user interface and no need for scripting either.